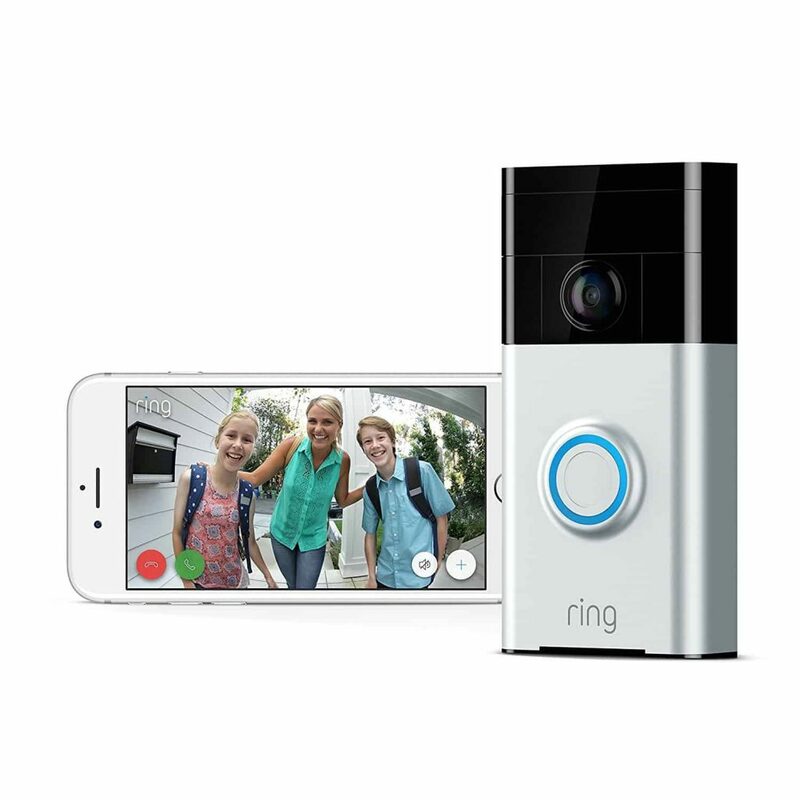 Ring my bell – Our take on the latest doorbell cameras! 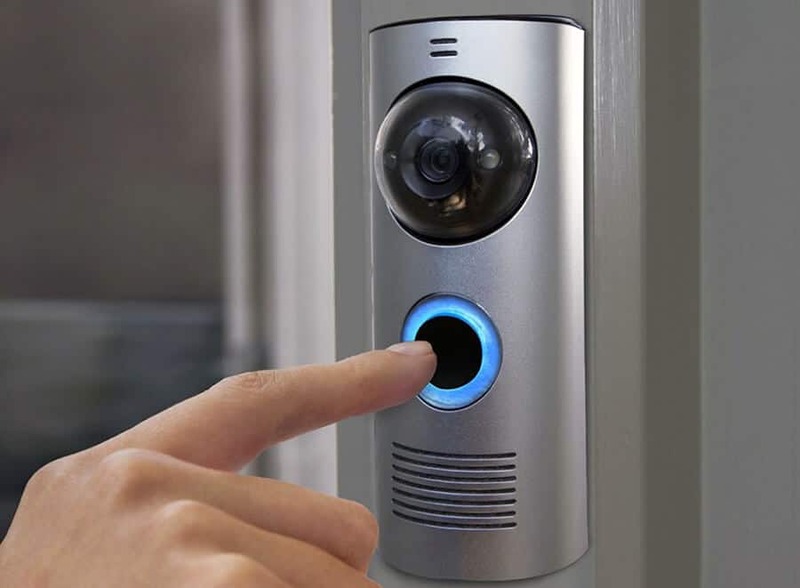 Doorbell cameras work in tandem with your smartphone, allowing you to see whoever is outside, ringing your bell. This means that not only can you avoid any unwelcome visitors but if a delivery arrives while you’re out, you can tell the UPS man where to leave your parcel. 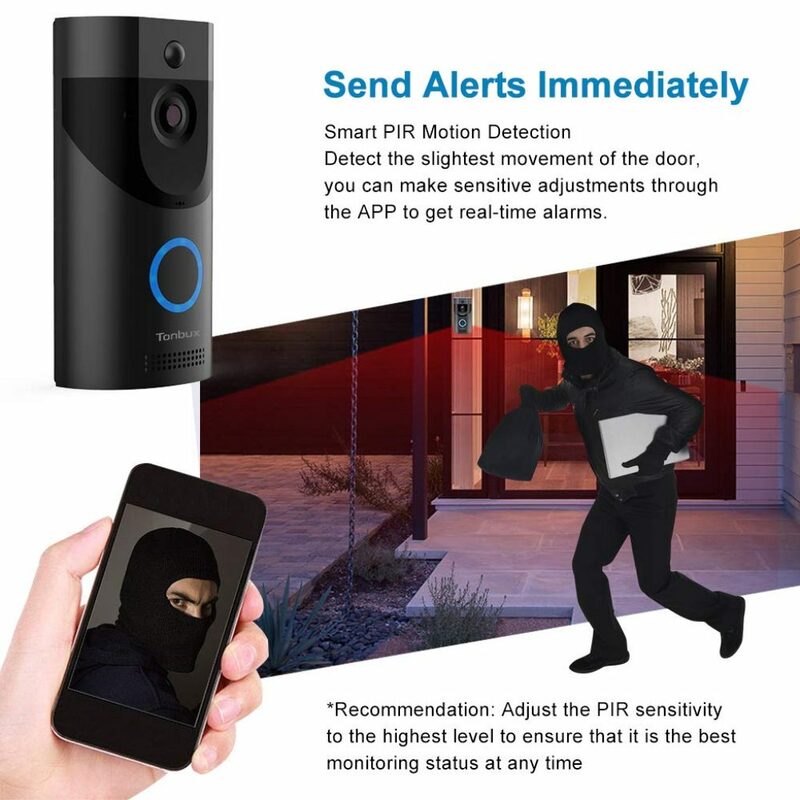 Burglars will often check out a property before visiting nefariously, so with a doorbell camera you’ll be alerted to that fact. 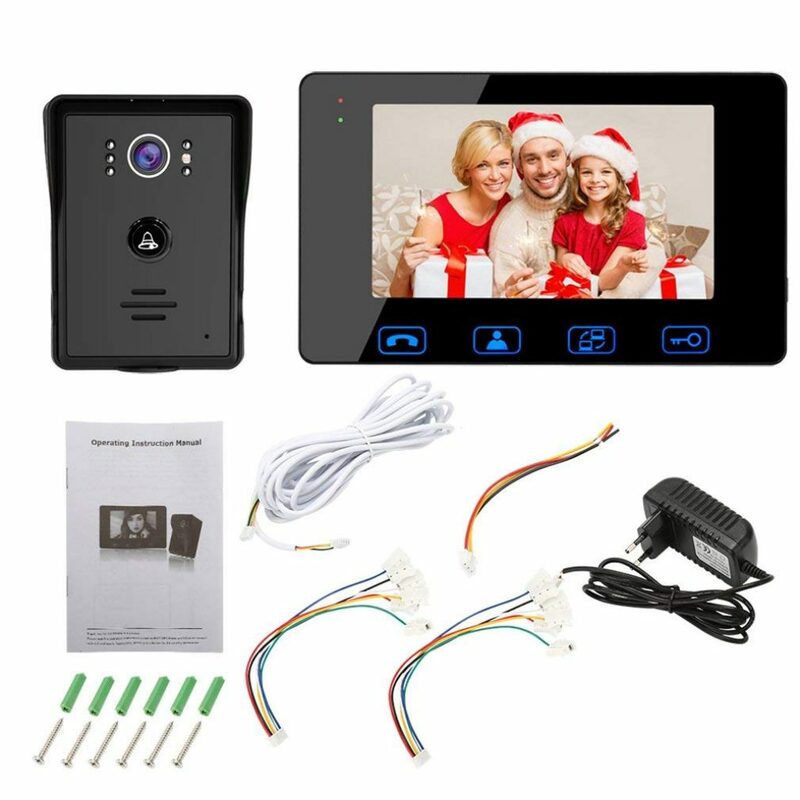 The incorporated HD camera acts as a similar deterrent to CCTV, but without the imposing equipment. 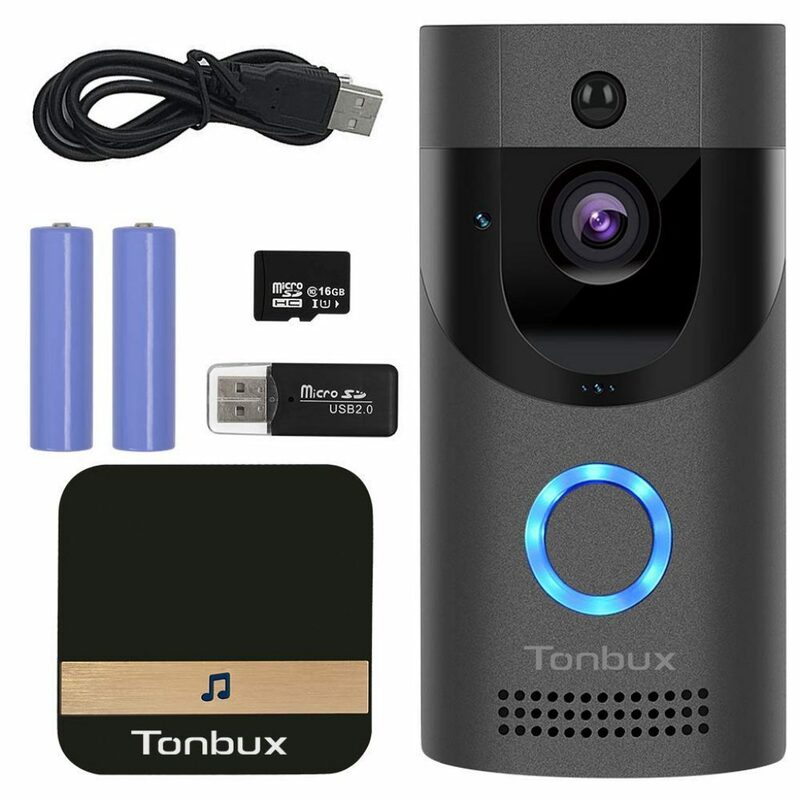 Many doorbell cameras have access to Cloud storage (although this usually comes with a small annual charge) in order to store, and replay, recorded videos. 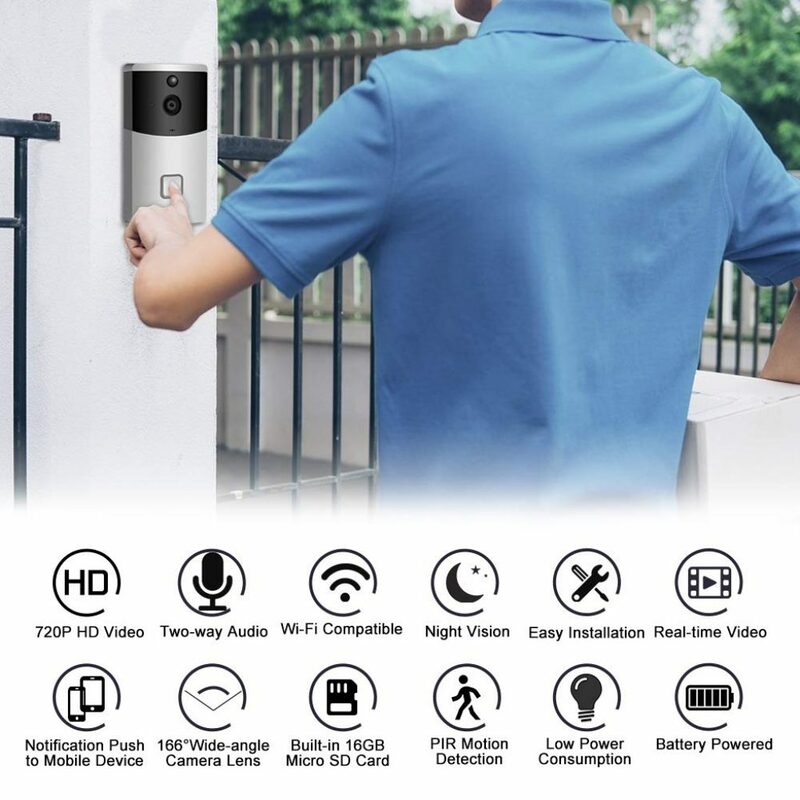 We love the look of the best-selling Ring doorbell – it gives the impression that it means business and shouldn’t be messed with. It is also available in these equally no-nonsense finishes – Venetian Bronze, Polished Brass, and Antique Brass. This is great. 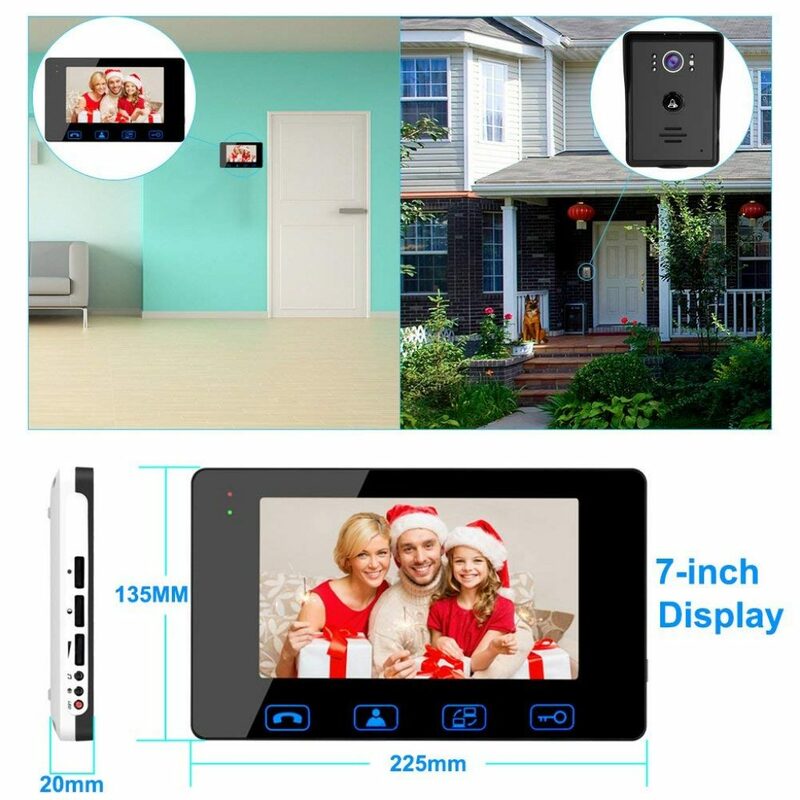 Easy to install, keeps a good connection, excellent video clarity, and not too pricey. We were very comfortable with the simple-to-use interfaces too. 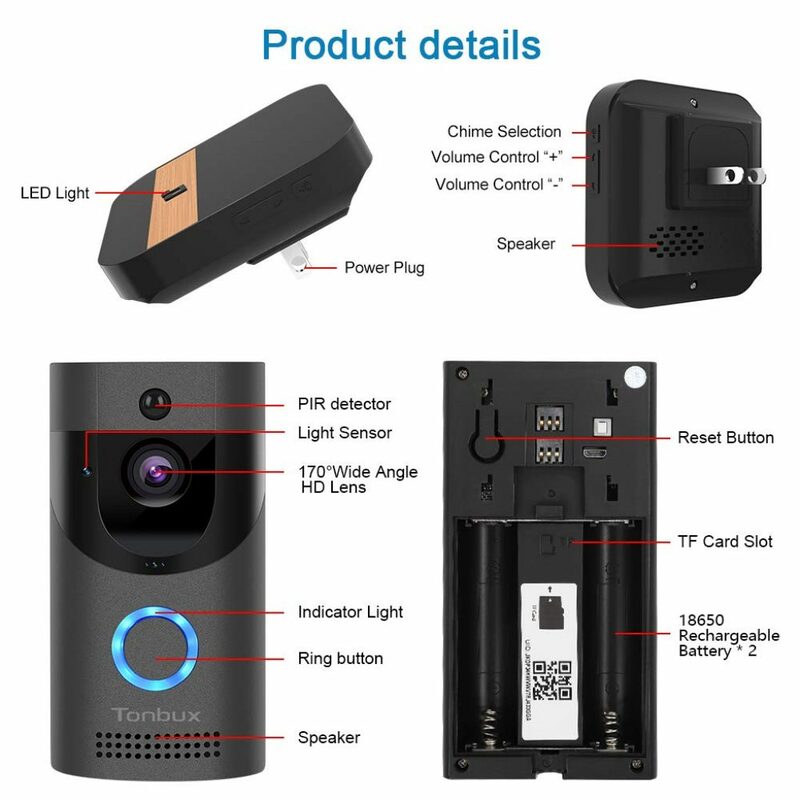 After 1-month of using this doorbell camera, we couldn’t fault it. This is a super doorbell camera, doing exactly what we want it to do. We would happily recommend this to anyone. 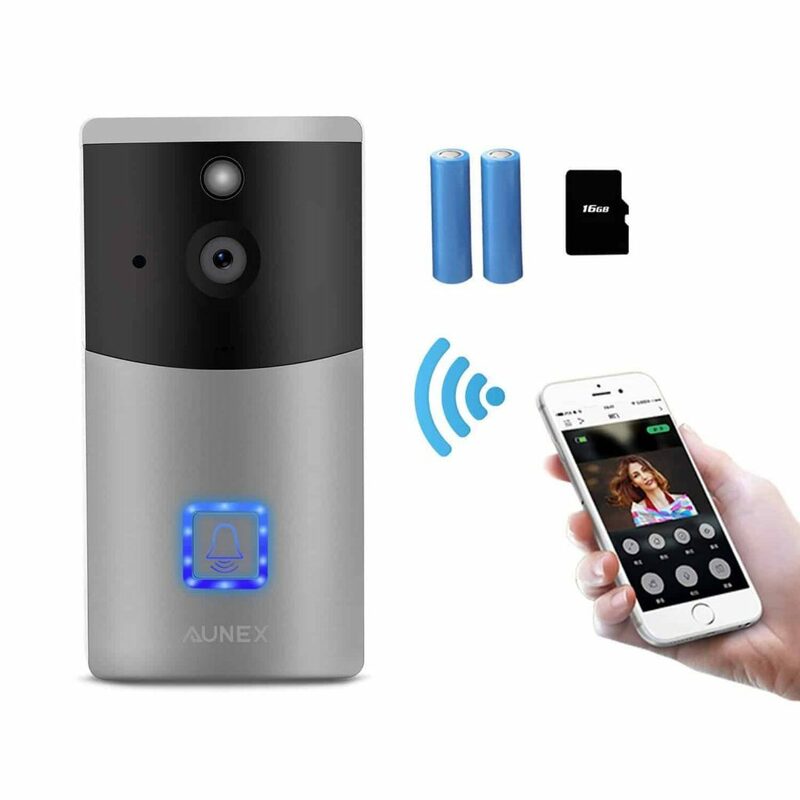 This neat and super sleek brushed steel door bell camera gives a solid professional look that will look smart in any home or office. This does what it says on the box; it’s simple to use, works well and is a good looking piece of kit. I received the Cloud access code within a day of signing up. All in all, very impressive. There may be extra costs with buying a cloud membership in the long run, although initially you get a Free Trial and 6-months of free recording. 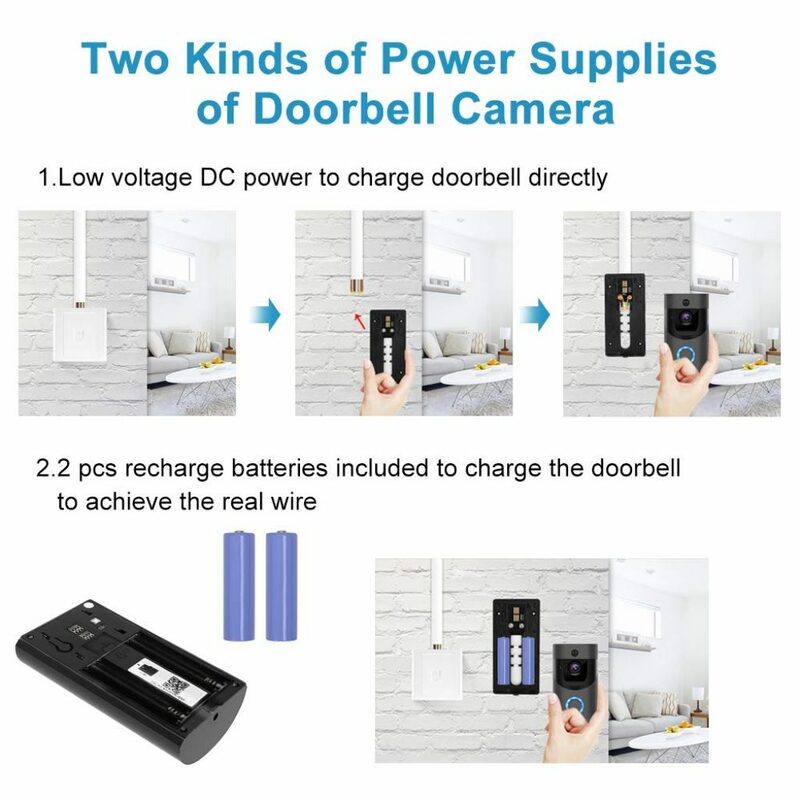 All in all for a reasonably priced doorbell, it’s not much more extra. Once this is installed, it’s great. It does the job it's supposed to and will add a nice modern touch to your home. This modern video doorbell looks polished and hard-wearing, and arrived well packaged. 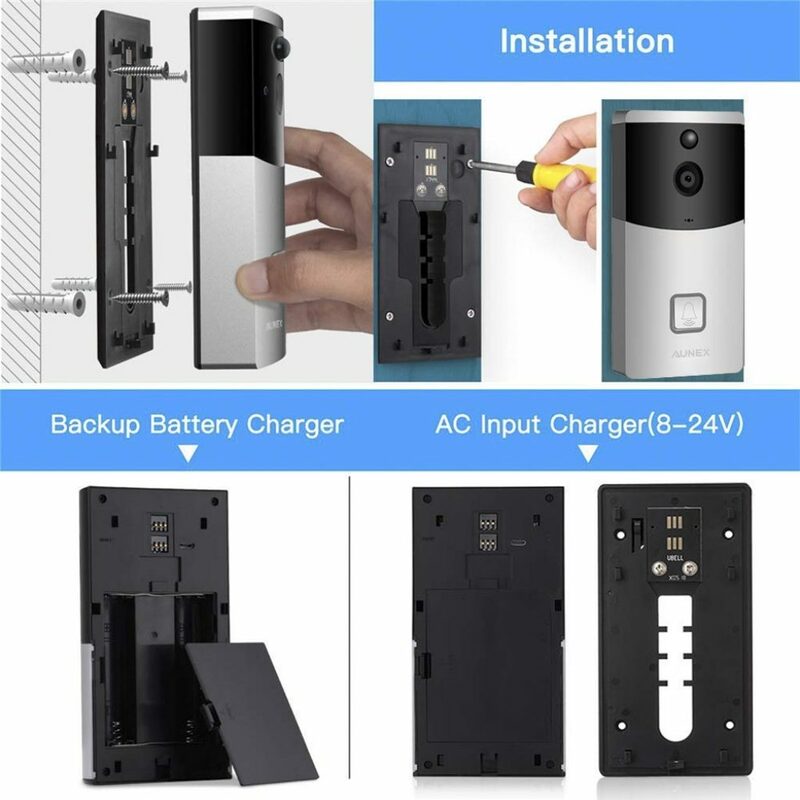 You get everything you need to get your smart doorbell up and running, including batteries and straightforward instructions. Installation was remarkably quick and simple. 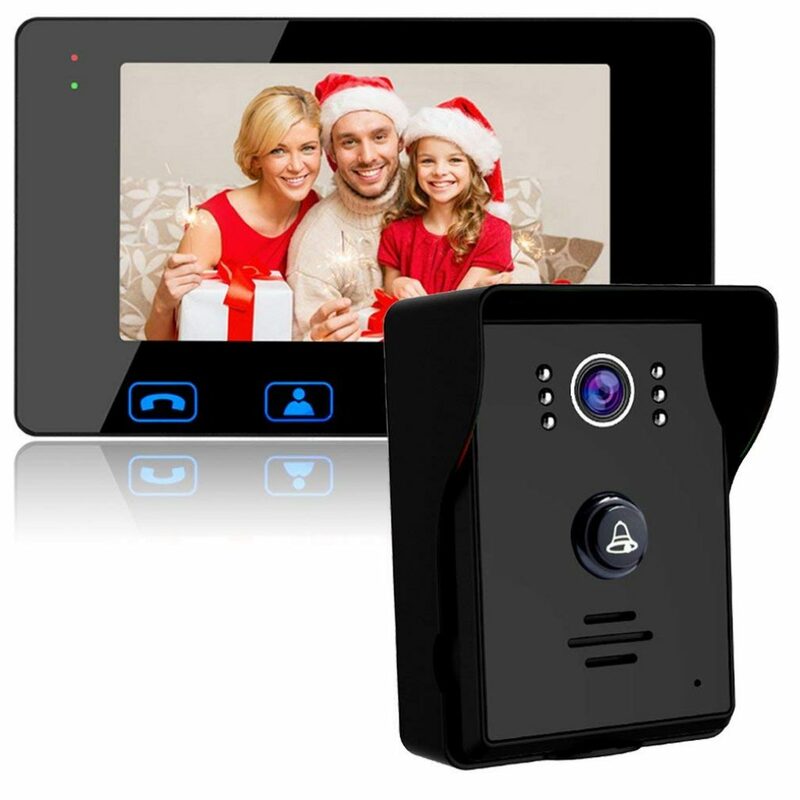 The doorbell works well, the video is clear and it is perfectly audible even in a large house. 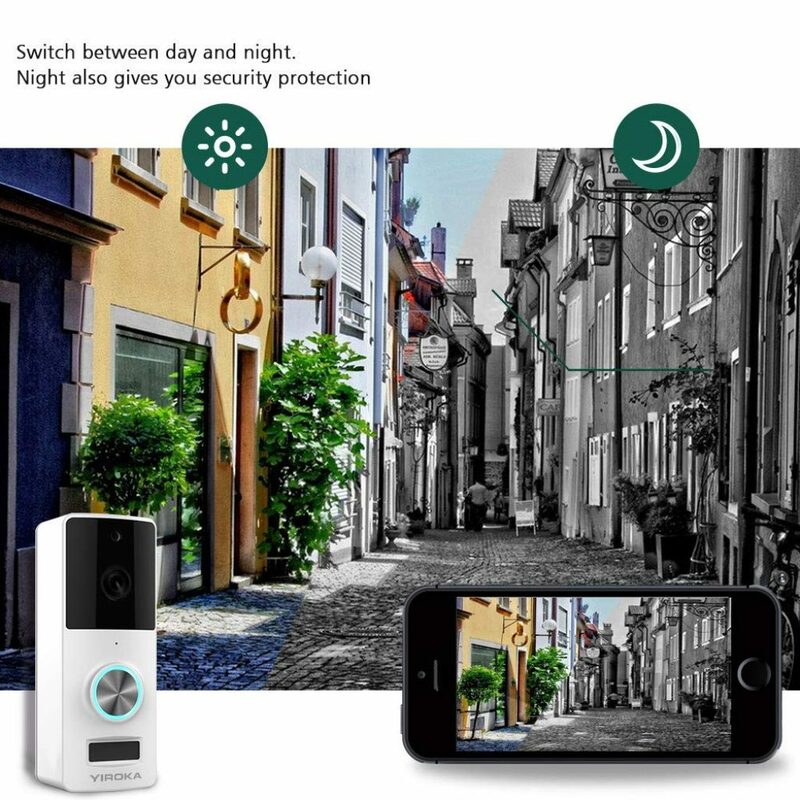 The other features, such as the extra wide angled lens and smart night vision, are great ideas, which make it well worth the price. Whilst I’ve been trying this doorbell, We’ve had a couple of false rings; nothing to worry about. 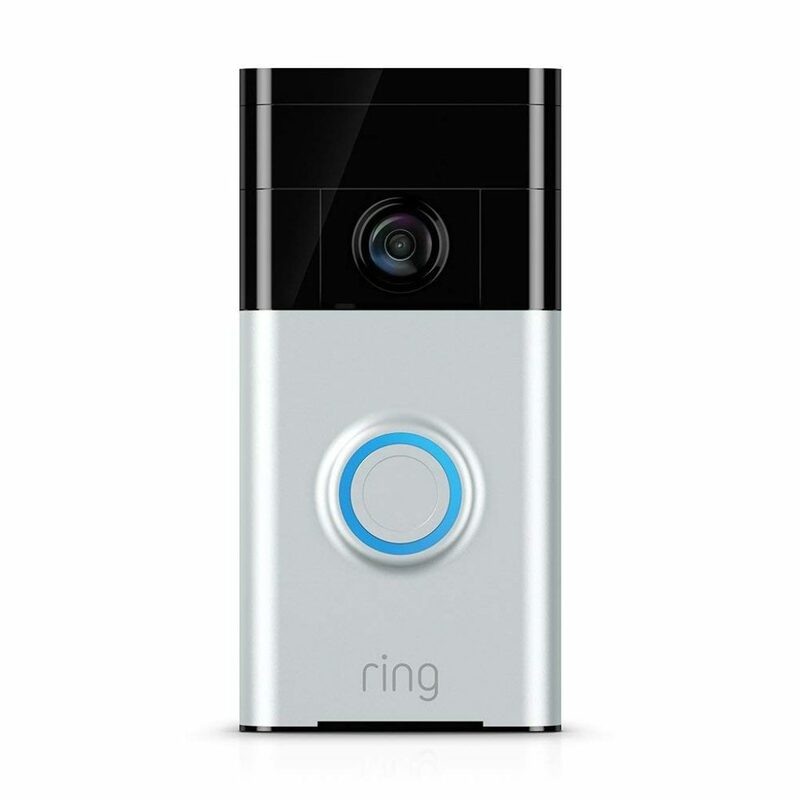 But with this modern doorbell, pros far outweigh the cons. 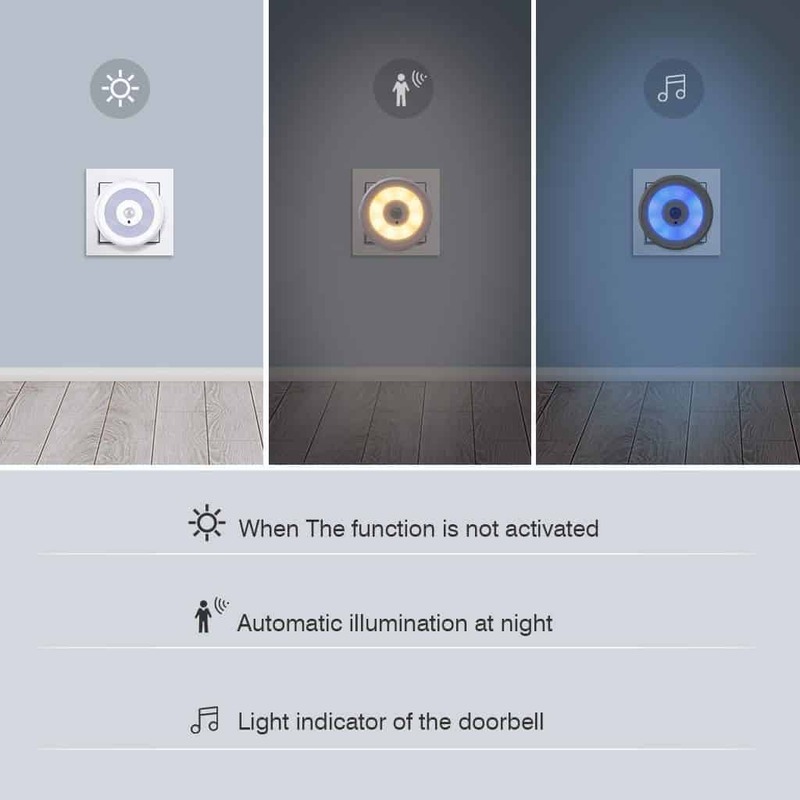 We like this smart doorbell. It worked without a hitch and gets extra points for aesthetic appeal. 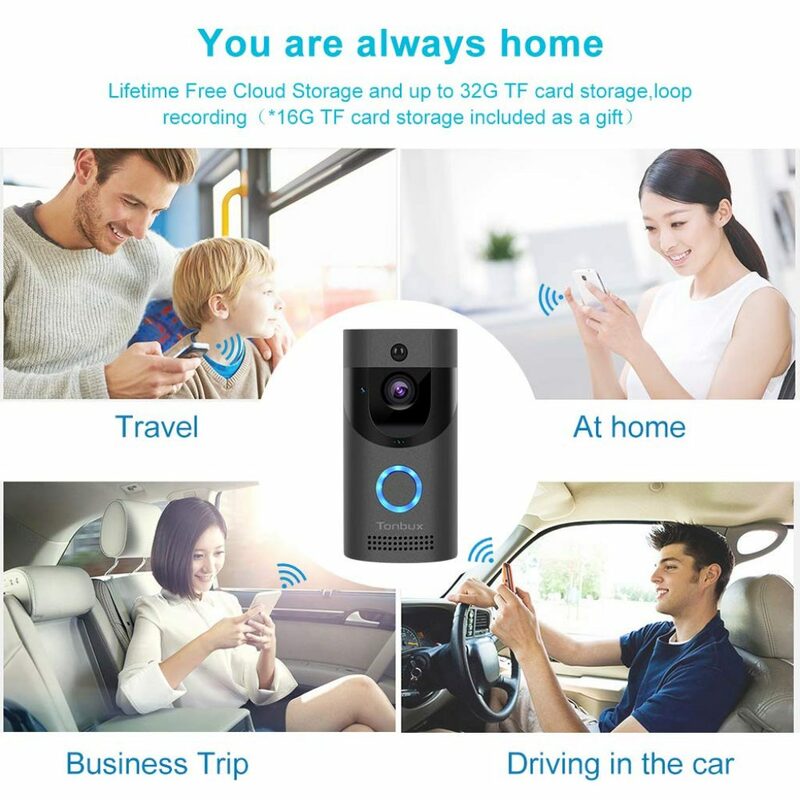 【Wireless Wi-Fi Connection】Smart doorbell, just download the APP(UBell) and connect to the phone with 2.4GHz Wifi. 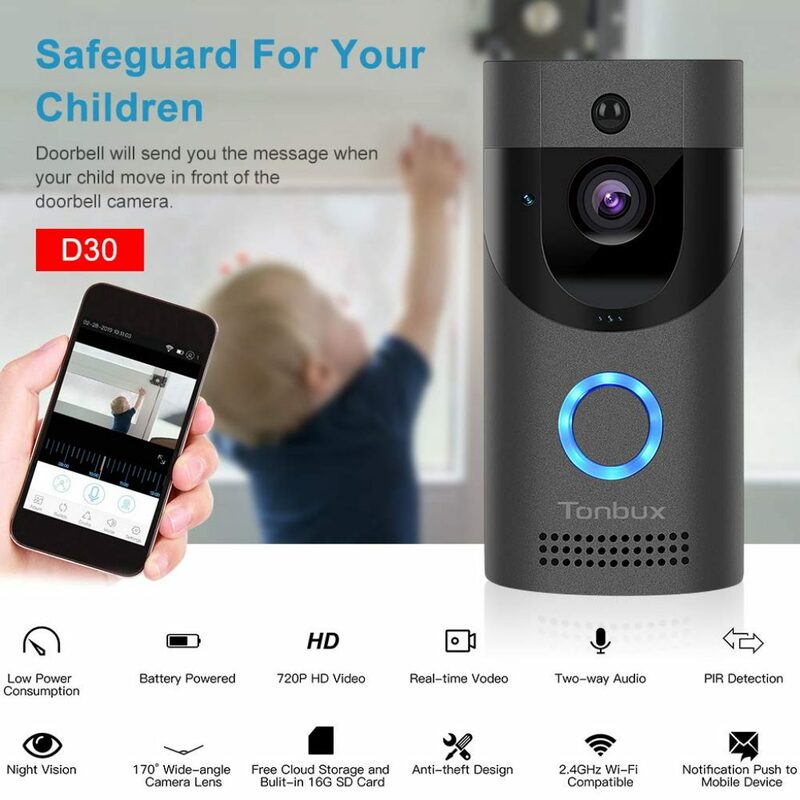 Then you can see, hear and speak to visitors who ring the doorbell from your phone clearly with 720P HD video and smart night vision. 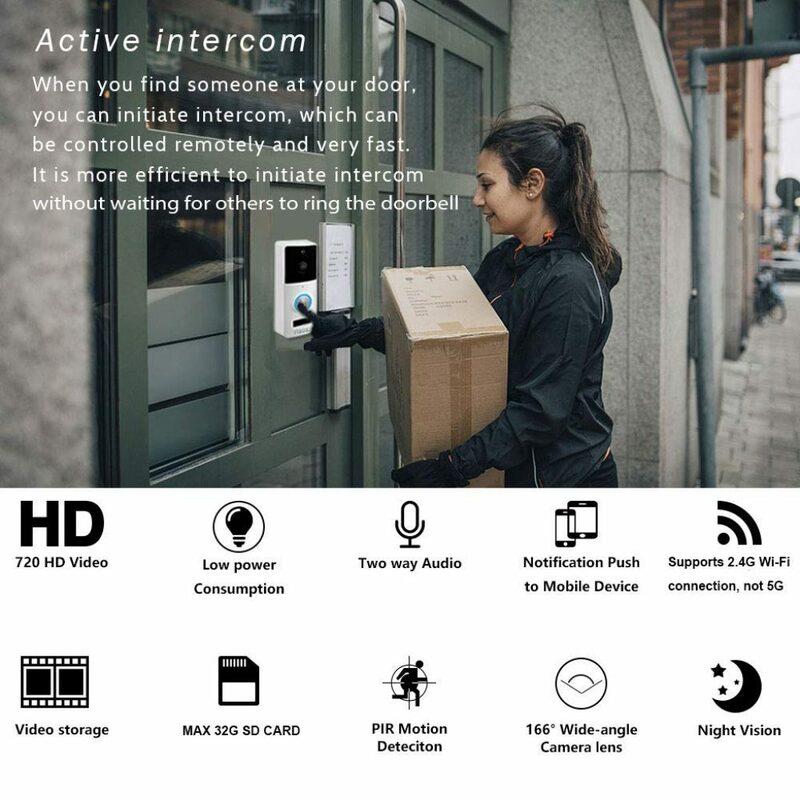 This super smart doorbell camera/full intercom system with HD video is one of Amazon’s best kept secrets. 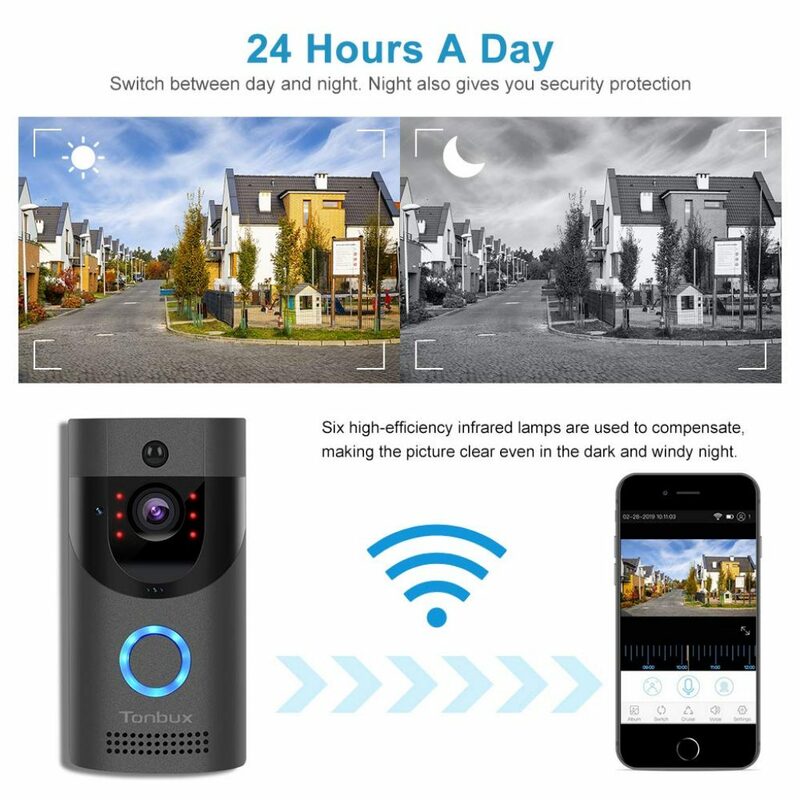 We were astonished to find such an accomplished product that delivers on technology while still maintaining a more than reasonable price point. 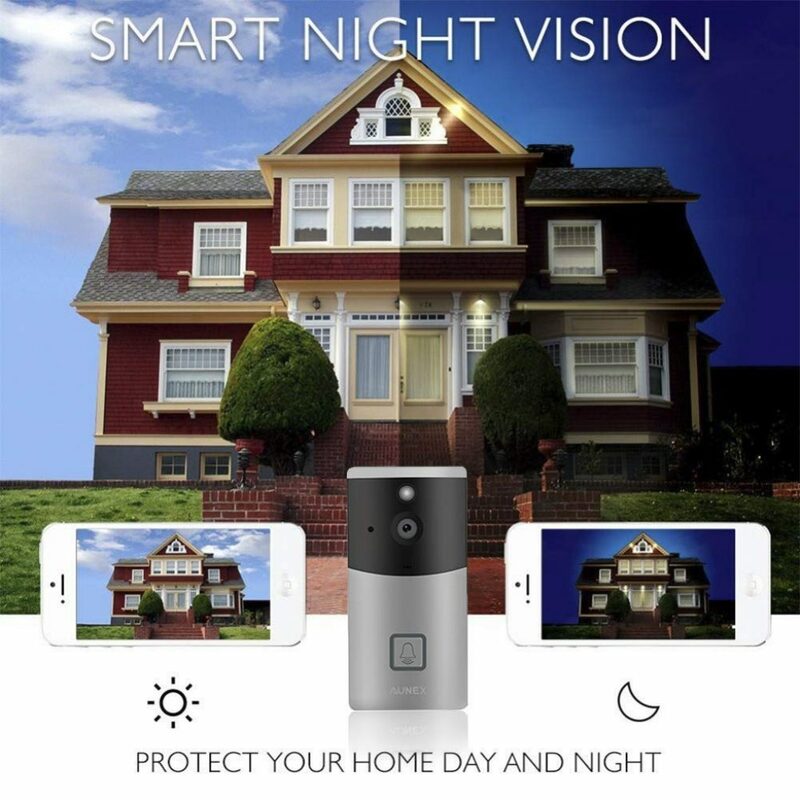 For what you pay, you get a fantastic security system for your home. Let’s start with the picture quality. The video here is so clear, and with the wide angled lens, no one can hide. Even at night, there’s no creeping up on our home or office thanks to the advanced infra red lighting! 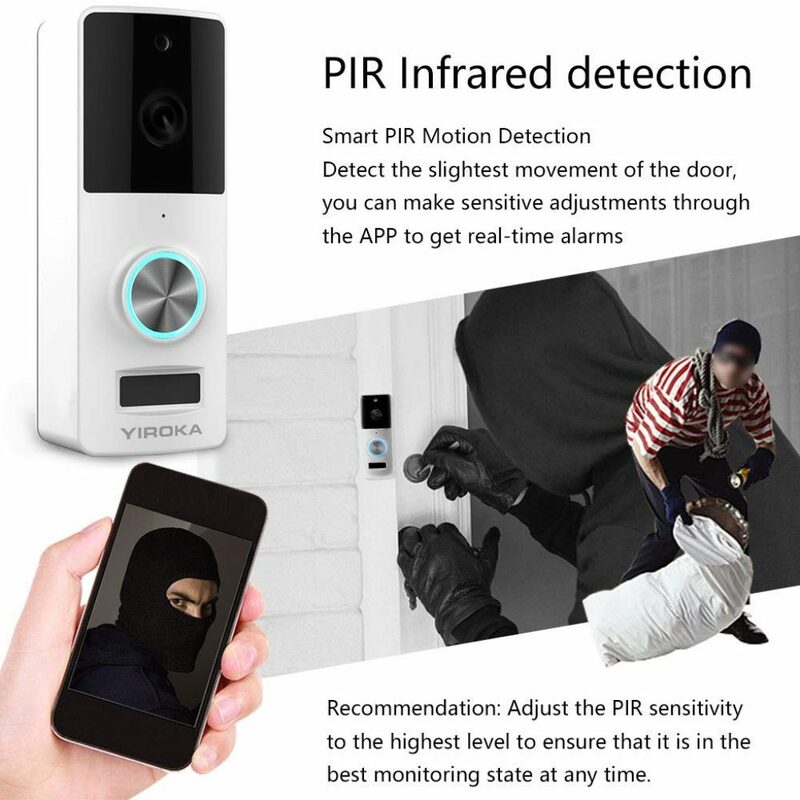 This intercom is so powerful that it can even do surveillance at a greater distance, leaving you feeling extra secure. 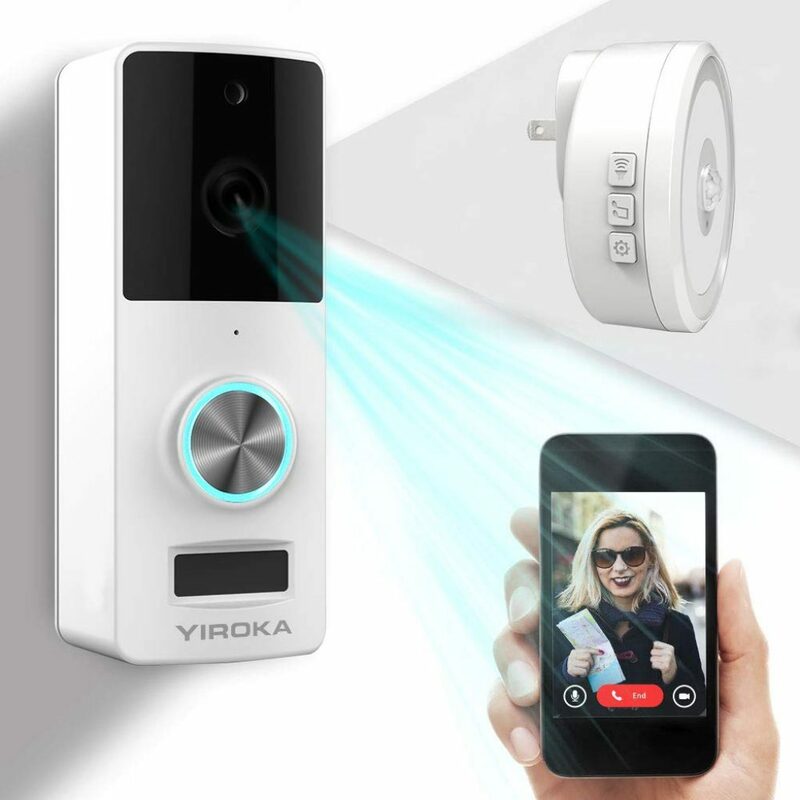 This doorbell camera is wall mounted, and operates via a push button that triggers a two-way video call between you and any of your visitors. There is also auto turn off for when you don’t want to have the system switched on. Thankfully there are 16 x ringtones to choose from, so you won’t get bored too quickly. Our only observation is that the cables are relatively short. This means that the system needs to be mounted close to your door. For most houses and flats, this shouldn’t be too much of an issue. 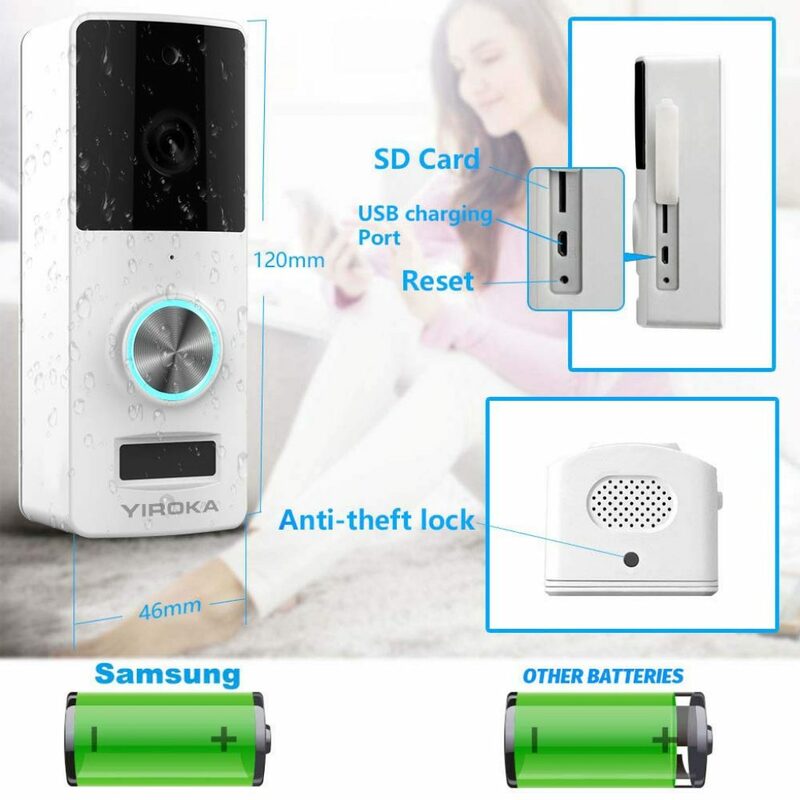 This doorbell camera is great quality and works perfectly well. A very solid purchase. This multi-award winning video doorbell is set to impress– it’s smooth metal looks ultra elegant outside any home. It also seems well made, with easy to follow instructions and downloadable apps. This robot like security system performs like clockwork. And it’s packed to the rim with useful features. 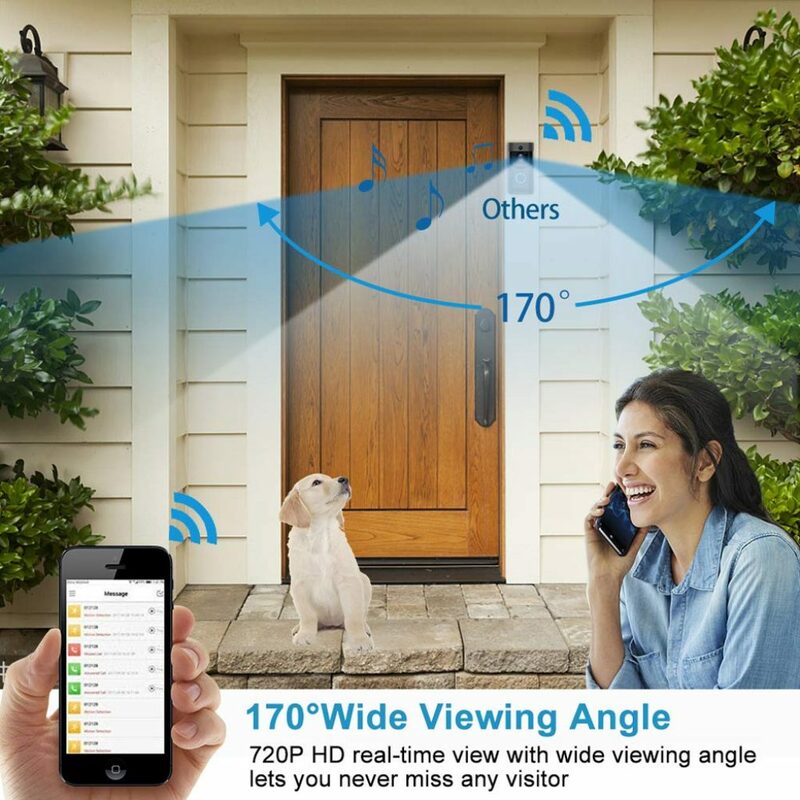 These include a 2-way 720 HD audio and video connection, a 170 degree viewing angle, motion detection, a doorbell (of course! ), batteries and accessories. You can pair it up with almost any smartphone, with a user friendly app to match. 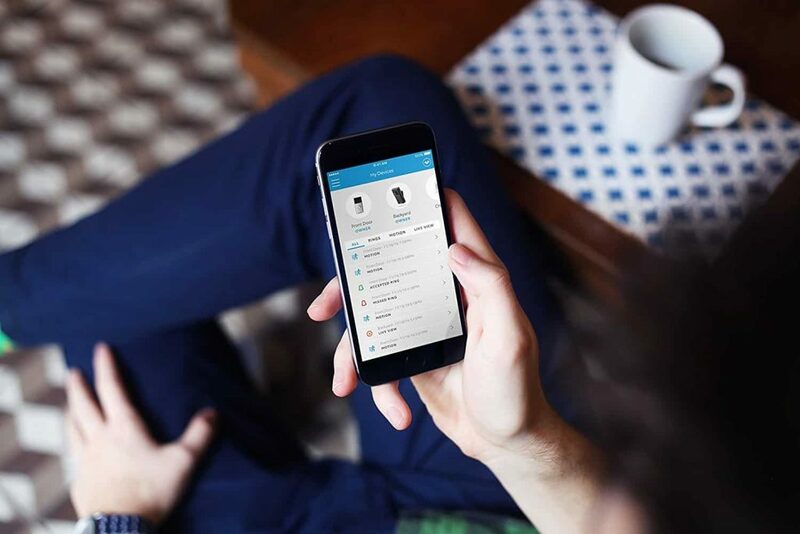 The best part is there’s no sneaky monthly subscriptions – you only pay for what you want. On top you get free lifetime cloud storage. The video clarity is excellent, very smooth and with a great playback. The audio works well, too, and we like that the app is constantly being improved and updated. The main flaw (for some!) 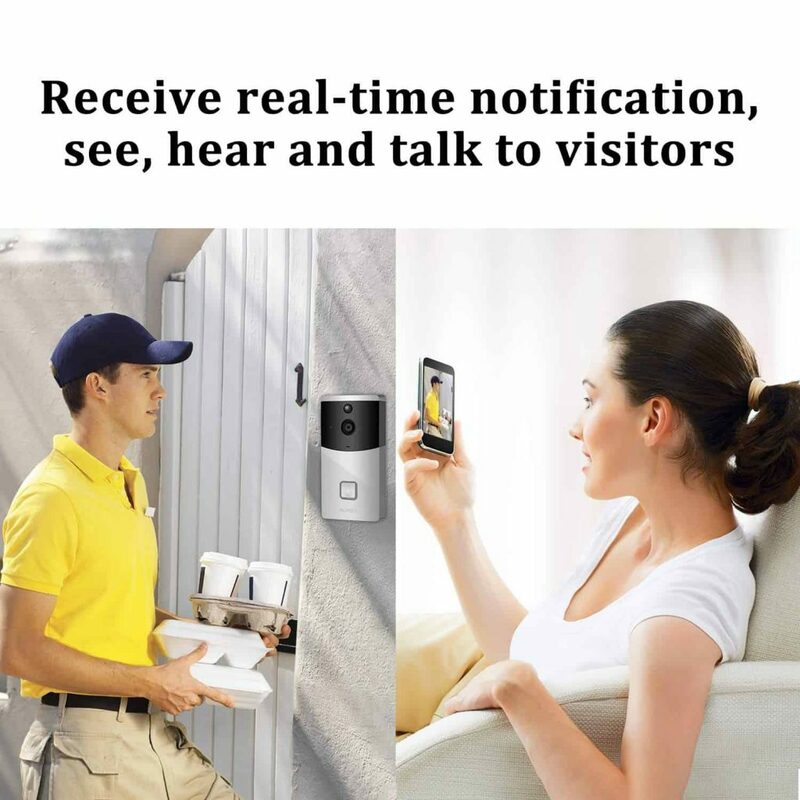 is that the motion detector is very sensitive, it can even pick up a mosquito. This may be a feature that you want, but if you’re looking for something a little less “jumpy”, bear it in mind. 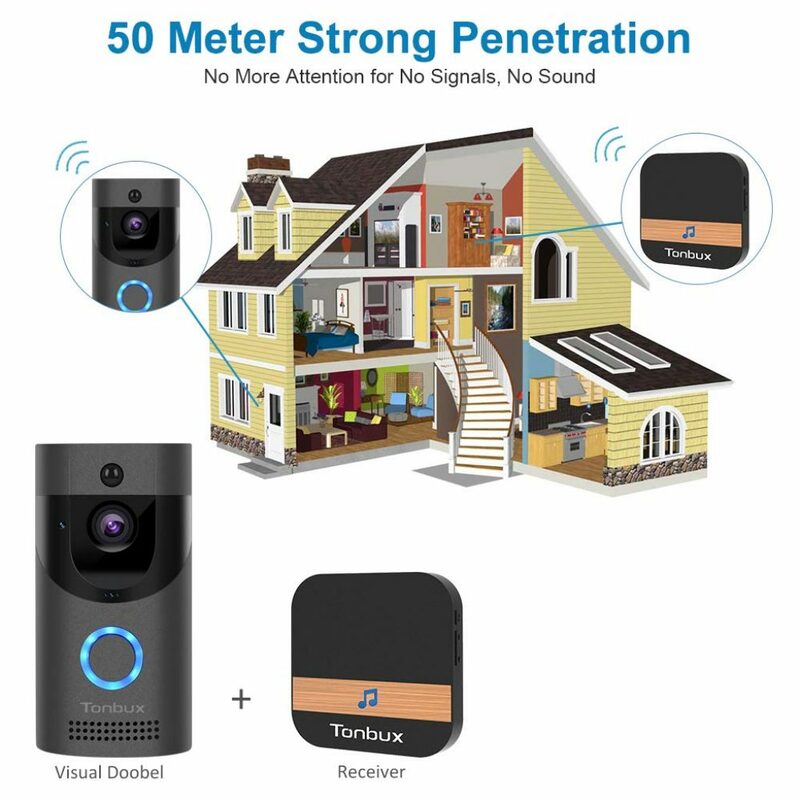 Despite the motion detector point, this was the best doorbell camera/home security system we tested, and plan to hang onto it for as long as we can.